Speaking at Wigtown Book Festival recently, Michel Faber was asked why he had chosen poetry over fiction to explore his wife’s death from cancer. His answer was both striking and beautiful: poetry was the frankest, most direct form of communication that we have. 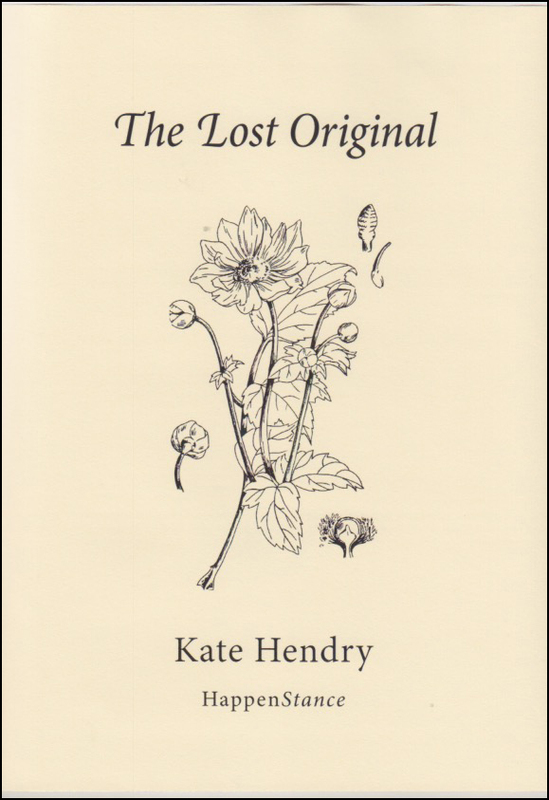 This is never truer than in Kate Hendry’s The Lost Original, a debut collection which uses such directness to create deeply affecting poems that take the familiar and the everyday, and turn them into something new, something profound, and often something unsettling. The opening poem, ‘Baked Beans’, introduces us to the way Hendry uses straightforward language and the juxtaposition of familiar and unfamiliar to both unsettle and provoke the reader, pushing them to listen to the words not said as much as the ones that are. to a room in the Alveston House Hotel. Still a chance he’d come back home. for good weather) unfolded just for me. Back inside and washed them up myself. the blanks, page after page of emptiness. One of the most effective is ‘After the Divorce’, a quiet poem that laments not only the pain of always leaving one parent behind, but also the loneliness of always waiting for one or the other. My father thought it was dross. I keep the stove going. You bite the first marshmallow. to be in charge of endings. It is a compelling way to end the collection, and stays true to the feelings evoked throughout the poems. Although Hendry may be in control, she is always interested in that person who might appear in her way and compel her to write those endings differently.